Dr. Ana Diez Roux has been named the new dean of the Drexel University School of Public Health starting February 2014, a press release announced Sept. 10. Diez Roux is known for her work as a physician and epidemiologist. Her research and teaching has impacted the field of public health. “I was delighted and very excited about all the possibilities at Drexel and at the School of Public Health. It’s a very dynamic and growing school,” Diez Roux said. 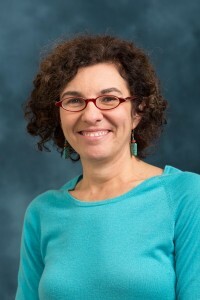 “In hiring Ana Diez Roux, Drexel has added to our distinguished faculty and administrative leadership with a world-renowned scientist, somebody with vast experience in discovering new knowledge about health, and somebody with tremendous ability to lead groups of people to successful outcomes,” Provost Mark Greenberg said. As the new dean, Diez Roux will work toward the current goals of the school, including its relocation into Nesbitt Hall and the launch of the new undergraduate program in public health. “I look forward to attracting undergrads to our program. Public health is a very exciting field that is focused on many crucial problems that our society faces. It’s a really exciting thing, and I think Drexel is well aligned with really addressing those problems in Philadelphia and beyond,” Diez Roux said. One of Diez Roux’s main goals coming into the position is to ensure the continued quality and excellence of the training programs, including the doctorate, master’s and undergraduate programs. “I think the key things for me are to work collaboratively with the faculty, the staff and the students,” Diez Roux said. She also wants to develop the school’s research mission and base by building on several ongoing projects. “I really see research, training and practice as being integral to public health,” she said. To achieve this, Diez Roux said she plans to sustain and build on already existing connections to the Philadelphia community in hopes of using Drexel’s urban health and practice focus to their benefit. She said she would also like to expand outside the local area and build international connections through public health partnerships. “Another goal is on building on the legacy of Dean Marla Gold, who really created the current School of Public Health with her colleagues, building on that legacy and taking the School of Public Health to the next level as a nationally ranked school that is producing important research and impactful teaching. We are very confident that Ana can achieve all these goals,” Greenberg said. 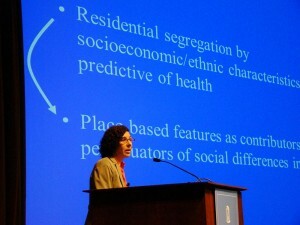 Diez Roux currently serves as the epidemiology department chair at the University of Michigan, where she is also a professor of epidemiology. She created the Center for Integrative Approaches to Health Disparities, which is a collaboration between the University of Michigan, the University of Mississippi Medical Center, and Jackson State University to understand the causes of minority health issues and minority health disparities. She is also credited with restructuring the Center for Social Epidemiology and Population Health. The center promotes research and training for finding the causes of health inequalities and eliminating them on a global level. Diez Roux is an elected member of the American Epidemiological Society, the Academy of Behavioral Medicine Research, and the Institute of Medicine of the National Academy of Sciences. Before joining the University of Michigan, she was an assistant professor at Columbia University and Columbia College of Physicians and Surgeons. She received both her master’s degree and her doctorate in public health from Johns Hopkins University School of Hygiene and Public Health. She also studied to be a pediatrician at the University of Buenos Aires in Argentina. “People don’t just leave places like Columbia University or the University of Michigan to move to another school unless they believe there is a tremendous opportunity for them and that they’re going to be joining a very good group of colleagues. … It speaks well to not only how good she is but how good our faculty is,” Greenberg said. The hiring process for a new dean starts with a search committee appointed by Greenberg and the faculty senate. The search committee consists of representatives from different parts of the University, but in this case it was mostly faculty from the School of Public Health. The search committee reviews each applicant and recommends three unranked finalists. These finalists come to campus for two days to meet individually with Greenberg and President John A. Fry as well as other administrators, faculty and students. “It’s a very thorough, very detailed and deep process, and it’s great because you get so many people’s perspectives,” Greenberg said. During the finalists’ time on campus, they give a presentation to all members of the University community. Feedback on the finalists from administrators, faculty and students is given to Greenberg, who then recommends one candidate to be hired. “In the overwhelming responses that I received from the search committee, from faculty, staff and students, Ana Diez Roux was clearly the No. 1 candidate,” Greenberg said. The two other finalists were from the Pennsylvania State University and the University of Minnesota. Dr. John Rich will continue to serve as interim dean until February 2014.